Take a walk around campus. Plaques and photographs of women hang in almost every building, honoring the women leaders that have contributed to our school’s history. “Since the early days women have played major leadership roles on campus,” President Edna Szymanski said. The stories of those women are held within the walls of campus, as more than a half dozen campus buildings bear the names of previous women faculty and staff. King Hall was named after Genevieve King, who joined Moorhead State College in 1947 as a professor in botany and biology. Skjegstad had graduated from the college and was a tenured faculty member at the University of Minnesota. King knew he was an excellent teacher and decided she wanted to hire him, so she and a few others visited him in the Twin Cities. Another woman who knew what she wanted was Jane Owens, who served as the college’s registrar for 29 years before retiring in 1952. Owens reconstructed the student and employee records after the 1930 fire destroyed the original college building. She is also remembered for securing financial aid for hundreds of Moorhead State Teachers College students during the Great Depression. She was honored in 1972 when the campus administration building was dedicated and named Owens Hall. Virginia Grantham was also honored after spending several decades at the college. She joined the faculty in 1929, teaching French and Spanish. 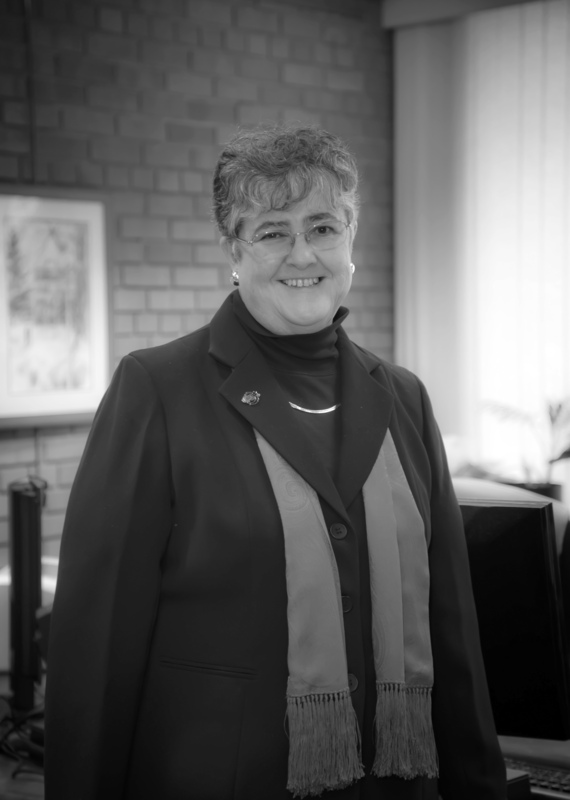 During her 35 years at Moorhead State Teachers College, Grantham played an instrumental role in establishing the Honors Convocation, which recognizes high student achievement. She was honored several years after her retirement when the Grantham Hall was completed and dedicated. Other women honored with building names on campus include: Millie Dahl, resident nurse and superintendent of the college’s dormitories until 1912; Georgina Lommen, director of the campus school from 1923 to 1943; Delsie Holmquist, one of the longest tenured faculty members; and Flora Frick, professor of women’s athletics and German. Many other women also played important leadership roles throughout the history of MSUM. As the first female president of the university, Szymanski looks up to many of those women. Szymanski said Shelda Warren and Marvel Froemming, both retired math professors, have given her advice over the years. “They’re folks that I have a huge respect for,” she said. For Szymanski, Yvonne Condell is another inspiring woman. Although Szymanski has experienced gender discrimination at other schools, she said it has never been an issue at MSUM. Szymanski said she believes that tradition will continue and encourages young women to work hard to achieve their dreams but also recognize the challenging social dynamic.